What’s The Best Car For Your Family? Making decisions for your family is never as simple as it seems. 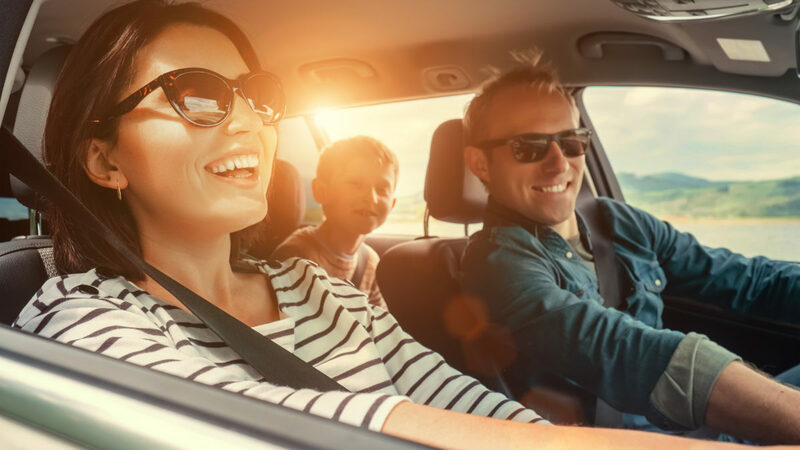 Whether it’s trying to make a dinner that everyone will eat or choosing a movie that isn’t Frozen (again), you’ve always got your work cut out for you, and when it comes to picking the right family car, that’s a whole other ballgame. But never fear, here at Midway Ford, we’ve come up with a guide to help you find the perfect New Car to suit your family! If you’re a new parent or soon to be (congrats! ), then you’ll already know that your priorities are rapidly changing. While there’s going to be plenty of compromise in your everyday life, your car doesn’t need to be, thanks to the new Ford Escape. This much-loved small SUV is the perfect upgrade into parenthood combining the fun, sporty design of a small car with the added cabin space and storage capacity. Add the practicality of the easily accessible boot to get the pram in-and-out with ease and the maximum 5-star ANCAP safety rating, the Ford Escape is the perfect addition to your young family. All parents know that as your family gets bigger, in both size and numbers, your car needs to get bigger too. From extra car seats and new school friends to sporting equipment and more groceries, space becomes a valuable commodity that you can’t seem to get enough of. But luckily, there’s no bigger than the new Ford Everest! Perfect for the rapidly growing family, the Ford Everest offers a spacious 5-7 seat adjustable cabin, huge storage capacity and a massive 3,100kg towing capacity. Plus, with parent-friendly features such as Dual Zone Climate control, hands-free power lift gate boot and keyless entry, the Ford Everest is big on convenience too. Whether you’re running around to weekend sports or heading off on another camping trip, your family can never sit still for long. The adventurous family needs a car that can keep up with your active lifestyle and offers versatility to handle everything you throw at it. Sounds like a tall order but there’s no car that better embodies adventure than the new Ford Ranger! Hugely popular for a reason, the Ford Ranger is more than just a work ute. Engineered with cutting-edge technology and built tough to handle any job (like taking the kids on a road trip), the Ranger isn’t the most conventional ‘family car’ but you’re not your average family. With plenty of storage in the tray, 4X4 drivetrain and a 5-star ANCAP safety rating, the Ford Ranger is ready to go. Raising a family in the city or a busy metropolitan area is a unique experience with different thrills and challenges. One of the biggest hurdles is commuting and when you throw kids in the mix, you’ve got your hands full. If you’re not ready to switch to a big car or you’re limited for space, finding a family car for the city can be tricky – that’s where the new Ford Mondeo would be the perfect fit. At first glance this sedan looks like a luxury car with a stylish and refined exterior, however a closer look reveals a practical family car that doesn’t skimp on indulgence. With the mature style and clever driver assist features, as well as intuitive safety features to keep your family safe, the Ford Mondeo embodies the metropolitan family. To find out more about choosing the right new car for your family or if you’re ready to book a test drive, please Contact the team at Midway Ford today and let us help make family like that little bit easier.